It feels like it's been raining for a month straight here in Minnesota. Now that the clouds are clearing and the sun is peeking out more and more intensely everyday... It's time to start thinking about summer skincare. The biggest difference in my skincare regime is that I go from using Take a Deep Breath SPF 30 to using Pure & Free Liquid SPF 50. When I go to the dermatologist she emphasizes the importance of using moisturizers with an SPF of 30 or higher every. single. day. Don't forget to use sunscreen on your lips! Sun Bum in grapefruit is my favorite protective balm. The next change I make is how often I exfoliate with Microdelivery Wash. Exfoliation is important so that you can have radiant skin with less make up. I try to avoid wearing foundation in the summer. Clearing away the skin cells and other build up everyday allows my skin to shine and stay clear with little effort. When breaking out off the shoulder tops and mini dresses I like to moisturize with something that adds a little bit of glow to my skin. 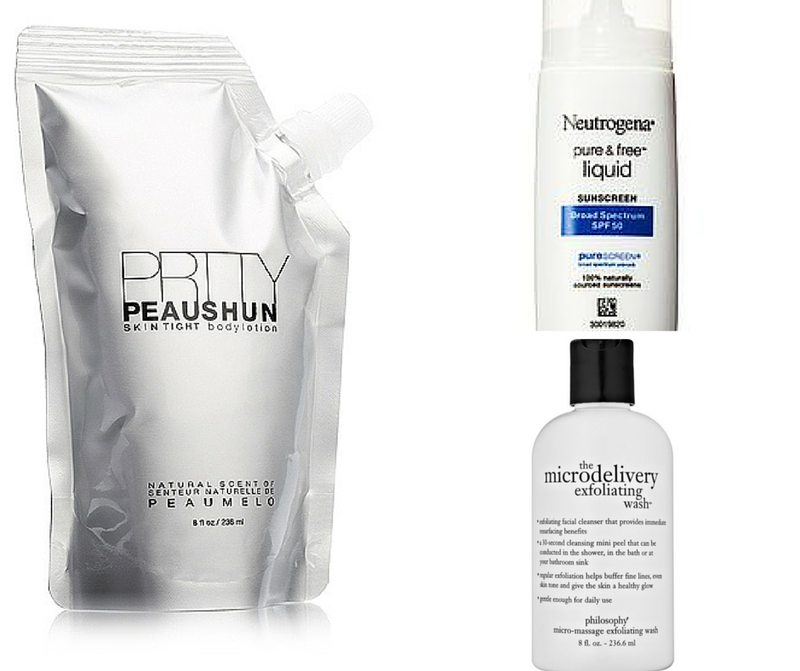 Prtty Peaushun is awesome for adding a really subtle glow and covering up any inconsistencies in skin texture. Be careful and only use a little bit or you could end up looking like a starlet on a late night show a la Amy Schumer. How do you change up your skin care routine for summer?